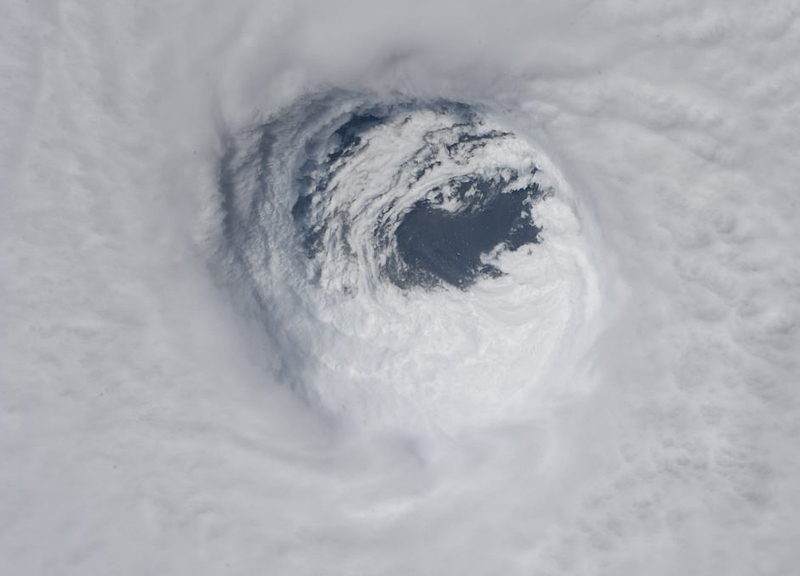 A view of the eye of Hurricane Michael taken on Oct. 10, 2018 from the International Space Station currently orbiting Earth. The photo was taken by astronaut Dr. Serena M. Auñón-Chancellor, who began working with NASA as a Flight Surgeon in 2006. In 2009, she was selected as a NASA astronaut.